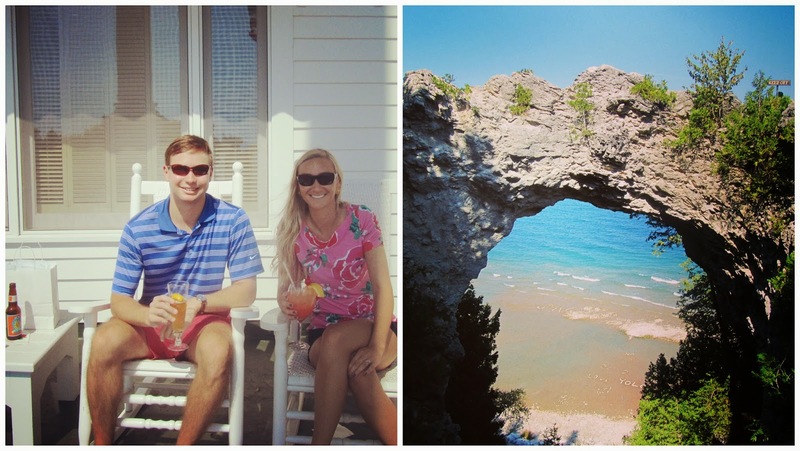 Last week I did a honeymoon before the blog, and I thought I would continue the trend with a pure Michigan throwback... like I mentioned last week, I want to catalog some of our before the blog adventures! This time two years ago, John and I were touring Northern Michigan. We knew that we wouldn't be staying in Michigan after John's law school graduation, and since John hadn't been around Northern Michigan before, we decided that we better take advantage of the long weekend and see the sights before leaving the state. 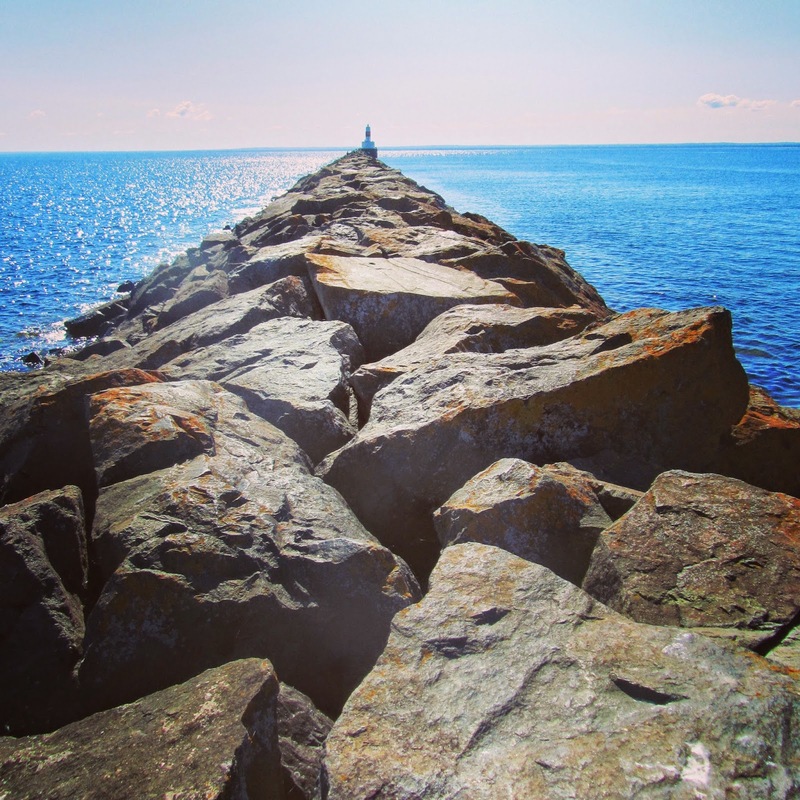 We started our adventure in Marquette, Michigan (which is the most populated city in the Upper Peninsula at just over 21,000 people). We walked around Presque Isle for a while and enjoyed the (very) cold water of Lake Superior... from a view, that is - we did not get in! 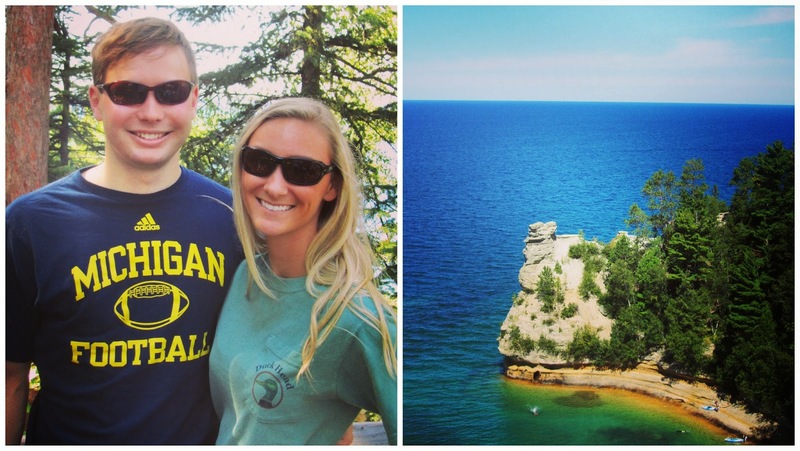 From Marquette we went to Pictured Rocks National Lakeshore on Lake Superior. Since I grew up in Michigan, I did all of these things as a kid, so it was fun to show John around a bit! The water is so bright and beautiful - and Northern Michigan in the summer really can't be beat! 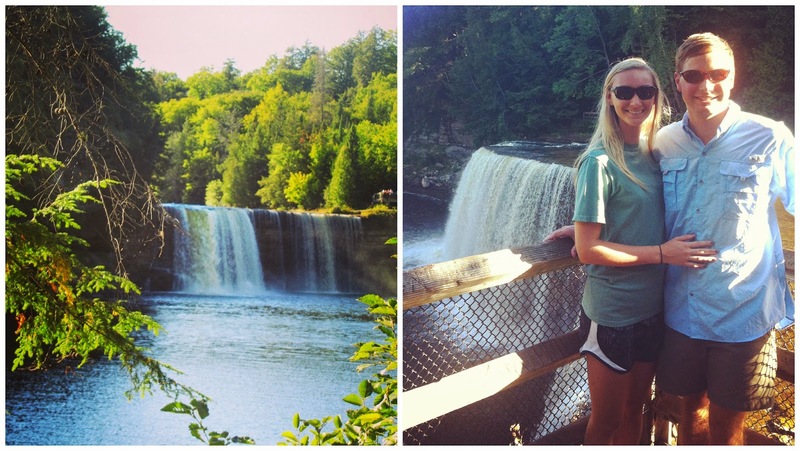 After Pictured Rocks we went to Tahquamenon Falls which are two different waterfalls on the Tahquamenon River. 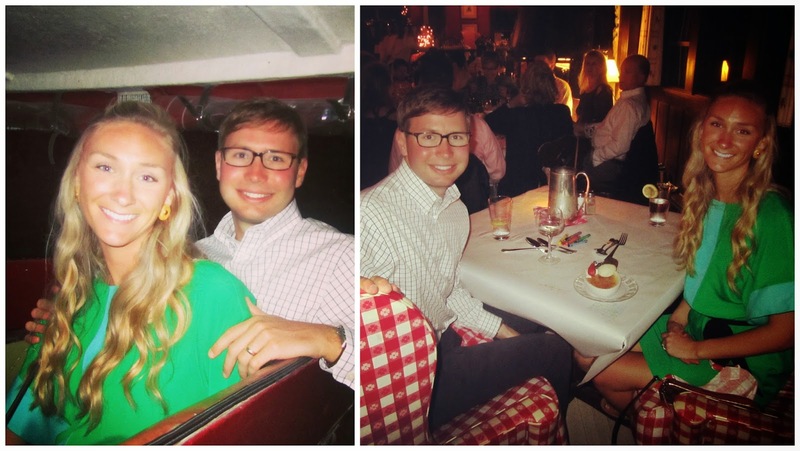 And then for the grand finale, we spent a few days on Mackinac Island in the middle of Lake Huron. 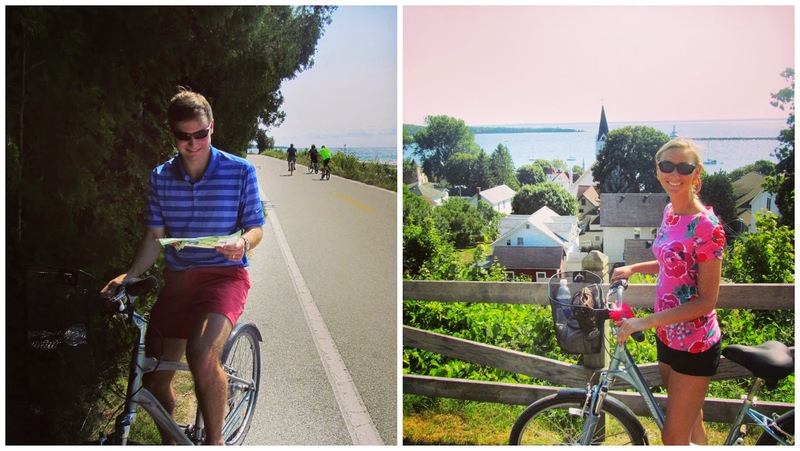 To get to Mackinac Island, you have to take a ferry because there are no cars allowed on the island - only horses and bikes! The island is small, but there is a lot to do. Interesting fact: Mackinac Island was originally Fort Mackinac held by the British during the American Revolutionary War. 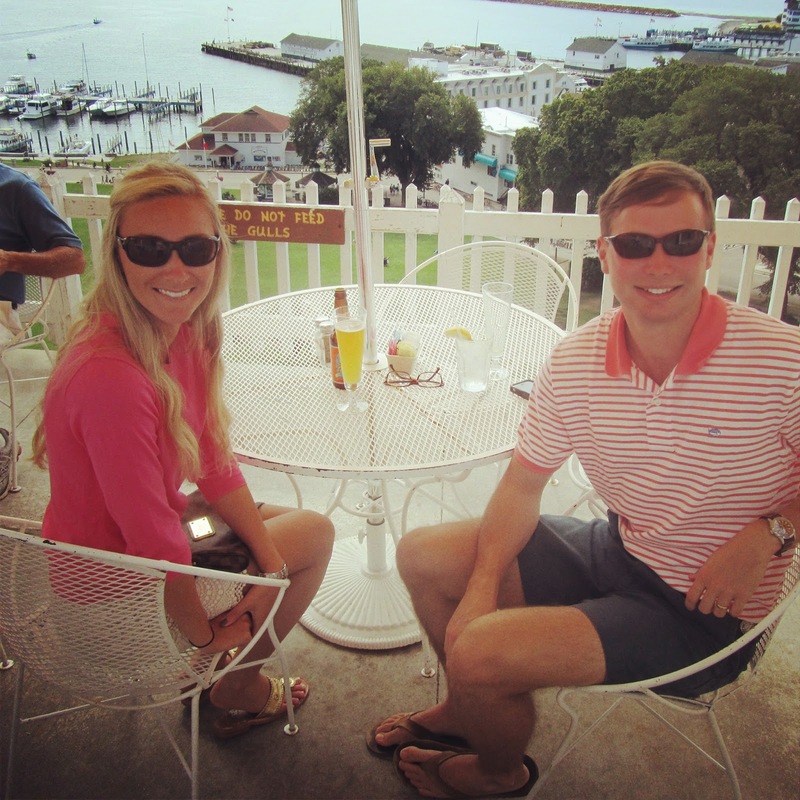 We toured the Fort, dined, and shopped... doesn't get much better! We rented bikes and toured the island... and ate way too much food. Actually, when I went to Mackinac as a child, I ate so much fudge that I became sick. Ever since then, I cannot stomach any fudge - except when I am back on the island! We had drinks at the beautiful Grand Hotel and road our bikes to Arch Rock. And ate at a very yummy German restaurant. The only way to get there is by "taxi" ...so the restaurant will send a horse taxi by your hotel, pick you up, and you get to go for a carriage ride to and from dinner... such fun! Looks like you visited some very beautiful and interesting places! Ahh love this post! Your pictures are so beautiful! I've actually never been to the UP (other than to drive across the bridge for the sake of driving across the bridge, haha). 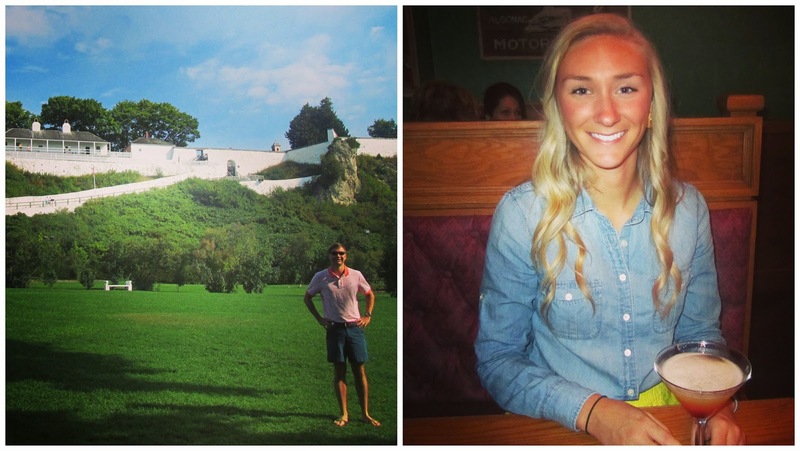 Mackinac Island is such a fun place to visit! These pictures are gorgeous! I don't know why I was expecting Michigan to be much less picturesque. I still don't think I could handle the weather though! This makes me want to take a road trip ASAP up north! Jameson and I are planning on doing a Michigan stay-cation next year so I will have to add some of these places to the list. That first picture is amazing!!! And how serene does Arch Rock look?! Pure Michigan...said in Tim Allen's voice. I have really not explored Michigan since I moved here. Everyone tells me how beautiful it is. Maybe next summer! How beautiful! That is one area that we have yet to explore. Being relatively close by in the midwest we will have to put that on our radar to get to soon! Yey for some more Michigan love, the pictured rocks and arch rock are on my must see list, made it up as far as Mackinaw City but never to the island or over the bridge yet! oh my gosh, it looks stunning! love the pictures - i never thought of going to Michigan but it looks so beautiful! definitely somewhere that doesnt get enough love! You guys are too cute! Michigan looks beautiful! What a fun trip! Michigan is so stunning. I'd defnitley have to visit in the non-snowy season but the water alone makes me want to take a trip! I love your floral tee shirt! Glad you got to go home!